Thank you to all those who donated to "Giving Tuesday 2018". Your continued generosity to our school is appreciated. Thank you to all those who donated to our Turkey Trot for Tech. Congratulations to all the lucky winners of our raffles. The total amount collected was $6,700. We have purchased 3 - 65" LCD TV's, 3 mounts, and 3 Google comcasts. Between Giving Tuesday and Turkey Trot for Tech we raised almost $9,000 with participation from 125 out of our 330 families. Imagine how much more we could raise with even more participation! Your participation matters, even the smallest amount. 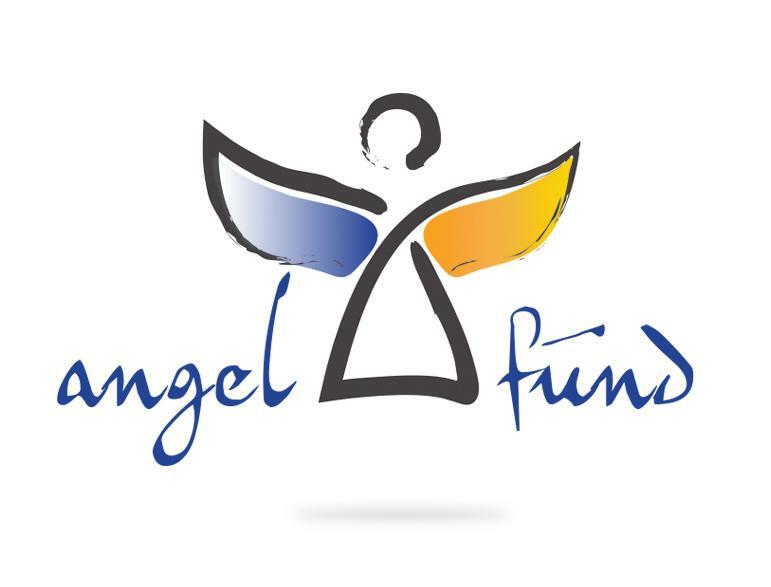 We'd love to have 100% participation in our angel fund. Showing your support and belief in the mission of your child's school is so important. If you'd like to make a donation to our annual fund at any time, you can click here and give online. The season of Advent is here...the dawning of a new Church year! For us at All Saints Catholic School, this season has special significance. 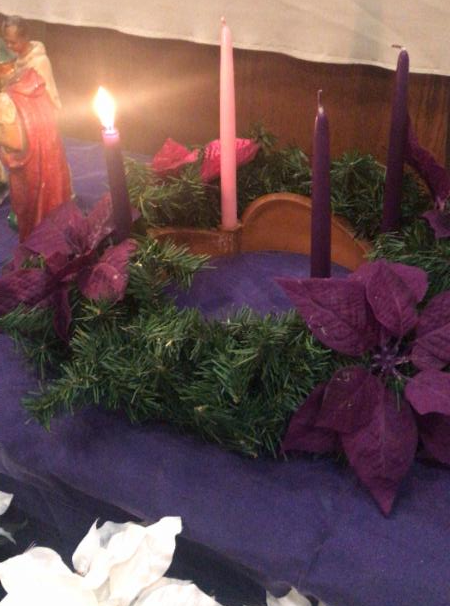 We are blessed in our Catholic school setting to celebrate the true meaning of Advent and Christmas. " Rejoice, Christ is coming" is our scriptural focus for this Advent season. Every week the students, either with their homerooms or religion classes, will gather in the chapel for a prayer service and lighting of the advent wreath. During the weeks of Advent, we encourage you to take time in your homes for reflection, prayer and family talks during the hustle & bustle of preparing for Christmas. The best gift we can give our children is ourselves. Years from now, their fondest memories will be the times just spent being together with you. The All Saints Christmas Classic Basketball Tournament is underway! Join us on our home court to cheer on our teams ! Admission is $3 . Food and drinks are available throughout the tournament which ends on December 9. All information regarding the Holiday tournament can be found on the school website. You may also contact Mr Fielding ( mr.fielding@ascs.net) . Thanks to everyone who has purchased a ticket. We are sold out! We will be raffling off a Nintendo Switch at the event. Raffle tickets will be $10 a ticket or 3 for $20. December 7 is an early dismissal day for all students. This is a planned in-service day off campus for all faculty and staff. Dismissal is at 11:30AM for preschool and 11:45AM for grades K-8. There is no extended day program. Please make arrangements. Please be on time for pick up. PK3 & 4 Christmas Concert is December 13, 2018 @ 8:30am. 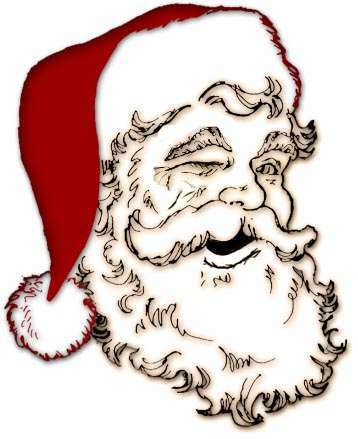 K-8 Christmas Concert is December 19, 2018 @12:30pm. The next two Dress Down days have a theme: December 7 is "Pajama Day"
(no slippers) and December 17 is " Christmas/Ugly Sweater Day". The Drama Club is sponsoring a Bake Sale during all lunches on Tuesday 12/4 and Wednesday 12/5. We are gladly accepting donations of baked/ bought goods. If you are interested in donating or are available to help at the Bake Sale (and are Virtus-trained), please contact Janet Mitchell - jmitch211@aol.com. If your child would like to purchase an item from the Bake Sale, please send them in with $1. ALL PROCEEDS BENEFIT THE SPRING MUSICAL, "THE LITTLE MERMAID". Thank you for your continued generosity! Help us spread the word: Enrollment is Open for Next Year! If you have family or friends who may be interested in applying to All Saints, please let them know that enrollment is open. We are now accepting 2019 - 2020 applications for Preschool and Kindergarten. We offer tours every Tuesday from 8:30-10am. Our "Take a Look Tuesday" Open House is held every week. Students and parents are on hand every Tuesday to give tours and answer questions . If you have any friends, relatives or neighbors who are interested in finding out more about our school, please let them know that we have open house every Tuesday from 8:30 AM to 10 AM throughout the school year . If they are not able to make it on Tuesdays , they may call our Admissions Director,Mrs. Denise Vuoso, to set up an appointment for a tour. Save the date! 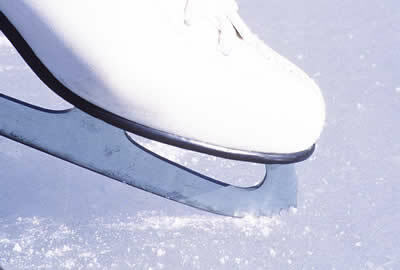 All Saints Catholic School invites you and your family for a free day to skate on January 21 from 10:40 am - 12:00 noon at the Darien Ice Rink. This is our gift to you this holiday season to say "thank you" for your cooperation and support throughout the school year.